Give your rugs the ultimate Rug Cleaning treatment! At our state of the art rug spa we will lovingly restore your rugs to their former glory using the best Rug Cleaning Products on the market and ensure they are cleaned correctly to the highest possible standards. With our prices starting from as little as £3.90 Square Foot you may be even to afford some extra pampering for yourself too! Your rug can hold up to a pound of dirt per square foot before it even starts to look dirty. Over time this dry soil and grit will begin to wear your rug down and damage it fibres. Merely vacuuming the rug or manually beating is not enough to thoroughly remove this dirt. As part of your Rugs full treatment we also use the ‘Rug Badger’ – an industrial dusting machine which ‘shakes and beats’ the dust and debris out of the foundation of the rug. What type of rugs are Suitable for the Rug Spa Treatment? Why does it take 10 days for you to clean a rug? It will generally take 10 days from start to finish to thoroughly clean your rug to our high standards as we need to go through each step of our cleaning process outlined on the ‘cleaning procedure’ page of the web site. We tend to have ‘Dusting days’ and ‘Washing days’ for example separate. So one day we will spend the whole day ‘Dusting’ any number of rugs and then the following day will spend the whole day washing so as not to rush any single process leaving margins for error. Can you do anything about moths eating my rugs? We can treat your rug with a moth repellent product which actually makes the fibres taste awful to the moth larvae therefore you will not have any further problems. Can you guarantee to remove all the stains when I have my oriental rug cleaned with you? We can guarantee that it will be thoroughly washed and cleaned to a standard that cannot be equalled, but unfortunately some staining will not remove. Mainly hot tea or coffee, or anything that has any dyes or colouring in such as take away curries, fizzy drinks such as lucozade etc. Can you restore Fire damaged/flood damaged rugs? Yes, we can remove soot deposits and odours for fire damaged rugs. 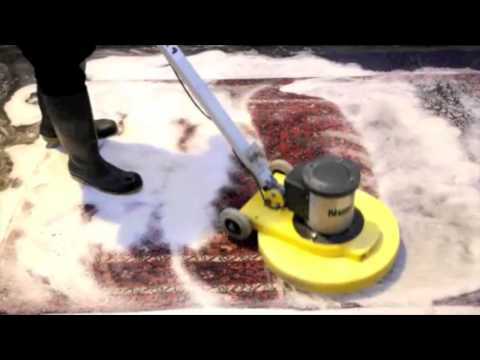 We can also clean and reshape water damaged rugs. We can resolve many dye bleeding issues depending on the severity. Do you offer any guaranties? We are fully insured and we also guaranty that if you are not satisfied with the standard of our cleaning we would not expect you to pay a penny. I wouldn’t pay for something I am not happy with and certainly wouldn’t expect our clients to either. My Rug has some colour ran on a small area where it had got wet without me noticing until it was too late. Is there anything you can do with it or is it permanent? We have had some great successes with this issue in the past. Especially if the colours have ran in to an ivory from a red for example. We have a great dye removal product which lightens as it dries. On some occasions unfortunately it will be permanent but we will always be prepared to try.